Vagus Nerve Stimulation (VNS) is the mild electrical stimulation of a nerve called the vagus nerve that runs through the neck and carries information to the brain. A pacemaker-like generator implanted just under the skin in the patient’s left chest area delivers electrical impulses to this nerve at regular intervals around the clock, 24 hours a day, every day. How can Vagus Nerve Stimulation control seizures? It is thought that nerve fibers from the vagus nerve carry information to the brain stem and thence to areas of the brain known to be involved in seizures. Epileptic seizures are caused by normally well-organized brain waves becoming completely disorganized. It has been suggested that stimulation of the vagus nerve may be able to interrupt this abnormal brain activity, reducing or possibly preventing seizures. What does the Vagus Nerve Stimulation procedure involve? The VNS Therapy system is comprised of two parts: the generator and the lead (wire that connects the generator to the vagus nerve). Typically surgery requires 60 – 90 minutes, and is performed under general anesthesia. Two incisions are made, each about 5-6 cm long, one on the skin in the left chest area, and the other on the left side of the neck. 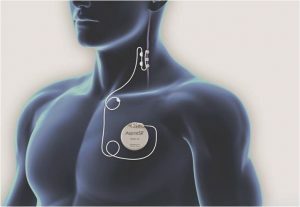 A small pulse generator, about the size of a stopwatch, is surgically implanted in the patient’s upper left chest area. A wire is tunneled under the skin and attached to the vagus nerve in the neck. The electrical connection between the vagus nerve and the pulse generator is checked before the incision is closed. Either at time of implantation or after a short healing period, the battery-powered pulse generator is programmed by the doctor to begin sending a particular “dosage” of stimulation to the vagus nerve, typically 30 seconds of stimulation, at five-minute intervals, with a strength of 0.25 milliamperes (mA) of electrical current. Initially, more frequent follow-up visits are need to gradually increase the output of higher levels of stimulation in order to achieve better levels of seizure control. Once the ideal “recipe” for stimulation, combining device output and on/off sequencing, has been determined for the patient, follow-up with the neurologist returns to usual frequency. Can the patient activate their Vagus Nerve Stimulator? Some people with epilepsy experience an aura (which is really a small seizure) warning them that a bigger seizure is about to occur. In these cases, passing a hand-held magnet over the pulse generator can activate it. This sends an extra burst of stimulation to the vagus nerve, which may stop the seizure or make it less severe. A caregiver or companion can also use the magnet on behalf of the patient. Unfortunately the magnet cannot always be used, or is not always available. People who experience night-time (nocturnal) seizures are unlikely to awaken prior to the seizure to be able to use the magnet. For some people, the seizure onset is so sudden that there is insufficient time to apply the magnet. Still others, due to physical limitations or the effect of the seizure itself, simply cannot physically apply the magnet. For these reasons, the newest version of the VNS Therapy device uses a surrogate for seizure activity, and automatically triggers an extra dose of stimulation. Most patients experience a sudden heart rate increase at the time of at least one of their seizure types. This heart rate rise (called an ‘ictal tachycardia’ [IK-tal ta-kee-KAR-dee-ah]) can be detected by the implanted system. It looks for a sudden jump in heart rate (not the gradual heart rate increase experienced in exercise), and then automatically provides an extra dose of stimulation. Thus it can be considered a ‘magnet-less’ magnet mode. The settings for this function, known as ‘autostimulation’, can be tailored to the patient’s individual heart rate response and needs. The autostimulation mode is used in conjunction with the normal operation and also the magnet function. What are the side-effects of Vagus Nerve Stimulation? As with any surgery, there is a risk of infection. When the vagus nerve is actually being stimulated, many people experience a tingling in the neck or hoarseness in their voice. Some have reported throat, ear or tooth pain, coughing and shortness of breath. Having the intensity or duration of the stimulation adjusted by the doctor may reduce or stop these sensations. Importantly, most people report a reduction in side effects over time, such that by three years post-implantation very few people report any issues at all. Because VNS Therapy has been used for over 20 years now, the side effect profile has been well established in multiple scientific publications. VNS Therapy is safe for long-term use, and pregnancies have gone to term in women receiving VNS Therapy. Studies indicate that VNS Therapy can reduce seizure frequency and severity in people with otherwise intractable (or ‘drug resistant/refractory’) epilepsy. A study from 2011 found that by 5 years after implantation, almost two-thirds of all patients experienced a seizure reduction of at least 50%, and nearly one-in-four had a seizure reduction of 90% or better. Some patients respond quickly, while others must have the dosage of stimulation increased to reach therapeutic levels. It may take months before any improvement is realized. Studies have shown that the benefits of VNS Therapy continue to increase over time, even out past five years. More recent data from 2018 showed that using the newer autostimulation mode in addition to usual stimulation resulted in 59% of the people treated having at least a 50% seizure reduction in just 13 months, which is much earlier as compared to previous reports of “traditional” VNS Therapy. Is Vagus Nerve Stimulation a recognized medical treatment? The Canadian Health Protection Branch approved Vagus Nerve Stimulation in March 1997 as adjunctive (or ‘additional’) therapy to anti-seizure medication. It is indicated for any person with difficult-to-treat (‘intractable’) epilepsy of any age, with any form of epilepsy and any type of seizures. It is fully funded under provincial health care systems in Canada. When is Vagus Nerve Stimulation used? VNS Therapy is used in patients with intractable epilepsy. 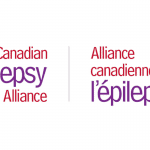 Epilepsy is described as intractable (or drug refractory) after the failure of two appropriately chosen and tolerated anti-epilepsy drugs (AEDs), alone or in combination, to control seizures when used for an adequate period of time [ILAE definition]. For these patients, alternative therapies such as surgery or VNS Therapy should be considered. 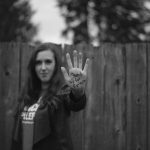 Some types of epilepsy cannot be treated by surgery; some people refuse surgery; still others who undergo surgery do not achieve seizure freedom. For these people, VNS Therapy offers a viable option. Numerous studies have been performed to identify which people may best benefit from VNS Therapy. Both focal and generalised seizures can respond well to VNS Therapy. Children with Dravet and Lennox-Gastaut Syndromes have been shown to particularly benefit from VNS Therapy. With careful attention to the settings of the VNS Therapy, positive outcomes have been achieved in the majority of people living with drug refractory epilepsy, regardless of age, seizure type or cause of epilepsy. Seizure reduction has resulted in fewer visits to the Emergency Room (ER) or hospitalization, and fewer clinic visits for acute epilepsy management. Furthermore, VNS Therapy has demonstrated significant improvements in traditional measurements of quality of life, including alertness, mood, communication, school or work achievements and memory. These improvements are independent of the magnitude of seizure reduction achieved.